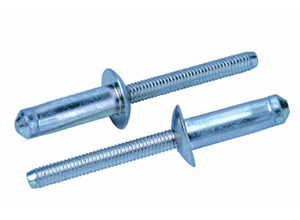 T-Lok rivets are all steel fasteners with high resistance to pull out loads. 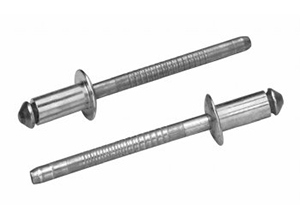 Designed to anchor into softer materials T-Lok is suitable for fixing metal to wood, wood to wood, board to low density plastic etc. T-Loks specially designed load spreading tail peels in three directions when placed, and works well in both blind and thin gauge applications. 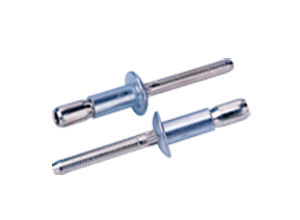 The T-Lok fastener is an all steel, dome head solution for use in softer materials offering a higher resistance to pull out loads. Designed with a ‘peel type’ tail formation when placed the tail peels in three ways, working well in both blind and thin gauge applications. 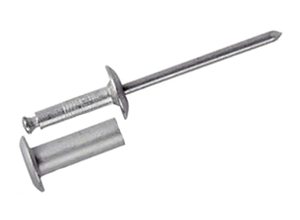 The T-Lok is ideal for use fixing metal to wood, wood to wood and board to low density plastics.